An alien scientist finds evidence linking his species’ ancestry to Earth, but government officials refuse to accept his evidence because it conflicts with existing doctrine. On the planet where Voyager’s crew had previously been marooned, Professor Gegen and his assistant Veer, two paleontologists of a space-faring saurian species known as the Voth, discover the skeletal remains of a human. 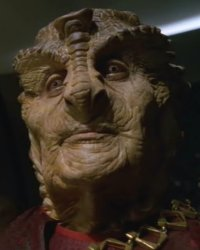 They are fascinated by the similarity of its genome to their own species, and Gegen suggests that this supports the highly controversial Distant Origin theory, that the Voth had originated on a far-distant planet instead of the current area of space from which they rule their empire. Proof of the theory has been sought by other Voth scientists, but the heretical theory has often led to their exile. 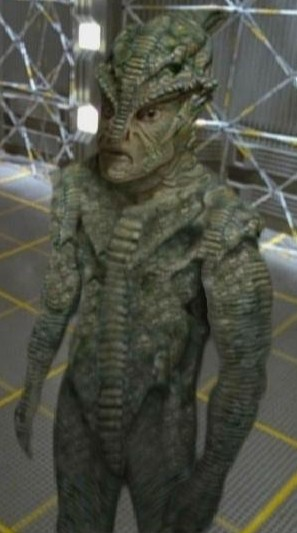 Star Trek Voyager’s episode on Evolution explains who the Reptilians are that David Icke talks about. The hidden spirits are separate and distance as the Jinn. So we have many players in this demonic inspired and led game. Pay attention classes are in session 24×7 during times of war.